Here at Nintendo Life, two things we love are creative independent developers and unique game designs. One great example of the latter is the recently released Go! Go! Kokopolo, a quirky, challenging downloadable title that hit the DSi Shop a little while ago and scored an 8/10 in our Go! Go! Kokopolo review, which called it "a demonstration of what can be good about DSiWare." It comes to us from very small, very independent developer Tanukii Studios. We caught up with Keith Webb, its founder, president and sole member about the young company and what we can look forward to seeing from it in the future. Nintendo Life: Can you tell us a bit about the formation of Tanukii and the company itself? Keith Webb: Tanukii Studios was set up a few years ago for the main purpose of creating this game! It took a few stops and starts to get everything aligned right, but we managed to get it this far, so that’s quite an achievement in itself. There is actually only one member of Tanukii Studios, and that’s me, Keith Webb. I was responsible for the game design, character design, art, animation and various producer aspects of the development… so I was running around wearing a lot of different hats during the production. About a year and a half ago, I managed to get in contact with a small team of programmers called Room 4 Games Ltd who developed the engine and gameplay code for the game, and they did a great job on it. As two independent studios, we basically worked together in a micro-studio style set up, by communicating online and rarely – very rarely, in fact – met face to face! It was a unique way of working, but we managed to pull off something that we are both really proud of, and that’s Go! Go! Kokopolo – Harmonious Forest Revenge. NL: Kokopolo is your first game on DSiWare. What encouraged you to develop for this platform? KW: When I was initially designing the game, I always felt that it was suited to a handheld. In terms of that, it was a toss-up between DSi, PSP or iOS devices. 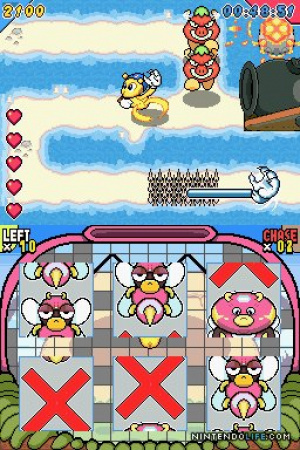 In terms of the core audience, the style of the game, with its humour and cutesy mischief, lent itself really nicely to a Nintendo console, therefore the DS took the prize! In terms of DSiWare, well that was really a case of the most logical step for us as independent studios. I had several meetings with some big name publishers, who were very interested in the game, but thought it might not be a title they understood as it was so unique compared to what was currently available on the market – i.e. shovelware… just joking! So after some initial thoughts, DSiWare seemed liked the most suitable way to go! "It is very original, but it takes ingredients from several different classic games, and mixes them all up to serve a new perspective to arcade style gaming, that is both familiar and brand new at the same time!" NL: It's refreshing to see such an original idea realised on DSiWare. Why the decision to go so ambitious right off the bat? KW: Well, because it was actually planned originally as a full retail title, we put the same amount of effort into developing it as we would with an actual packaged product. Nothing was left out of the original plan, so everything that was designed to go in went into the game. That is probably why a lot of people are finding it to be a surprisingly massive game, compared to most other DSiWare titles! It was actually one of the least ambitious ideas of games that I had considered…. obviously it took a bit longer to develop than I originally thought – like two years longer, haha – but I thought it would be the perfect start to Tanukii Studios' future legacy of potentially fantastic and unique games! It is very original, but it takes ingredients from several different classic games, and mixes them all up to serve a new perspective to arcade style gaming, that is both familiar and brand new at the same time! NL: Really, it was one of your least ambitious ideas? What were some of your more ambitious ones? KW: Well, I did want to, and still want to, make a brand new 2D side-scrolling four-player arcade-style brawler with fully hand-drawn HD graphics and 3D backgrounds… very similar in gameplay to Treasure’s Guardian Heroes, i.e. really chaotic! Also, on the list was a classic, 2D platformer, set across two screens with a unique gimmick, and a more cerebral style puzzle game. Hopefully I’ll still get a chance to develop these in the future, but I chose Kokopolo to develop first, as it had the most elements that could be done with the smallest team possible. "I’d love to do a sequel to Kokopolo, several actually!" NL: Now that you've got this under your belt, any plans to pursue any of those? KW: Absolutely! It's more a case of making sure that it makes sense logistically, in terms of when to develop them. Right now, we are approaching the next wave of consoles coming probably in the next year or so, so I’d have to keep an eye on what opportunities those bring up. Of course, I’d hope that Kokopolo can sell enough copies to bring in enough funds to begin to develop these projects… so it's pretty much a case of fingers crossed right now! NL: Were there any particular challenges that you faced, from a development perspective, in producing the game? KW: One was probably getting all of the game to fit into the limits imposed on DSiWare titles, but somehow we managed to achieve it, as everything got in perfectly. The budgeting of the development of the game was quite tight at times too, as we were just a couple of indie companies with no real financial sources, but again we pushed through that somehow – probably luck really! The final challenge I think that we have to face is getting the game the most exposure it deserves as well. That is a completely different hat that I have to wear, and I have to re-calibrate my outlook from a developer to a marketing/ publisher role to achieve this… so I’m giving it my best shot! NL: What's on the horizon? Any plans to continue within the Kokopolo universe? Ideas for the 3DS? KW: I’d love to do a sequel to Kokopolo, several actually! 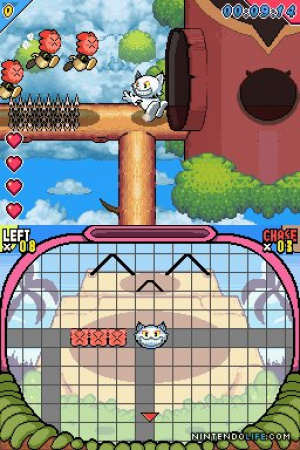 A 3DS sequel would most likely be the next Kokopolo game on the list, with brand new stages, story, characters, bosses and environments, but the basic principles of the game will still be kept. Maybe like a Lost Levels style sequel, though less challenging rather than more! Then I would like to develop a three-quel, a third game in the series, maybe for the Wii-U... this would use more Paper Mario-esque viewpoint and graphics, and would also add a small simple action-RPG element to the mix, though without affecting the core gameplay. All of those depend of course on how many copies Go! Go! Kokopolo sells, so that’s my priority at the moment – sell as many copies as I can! 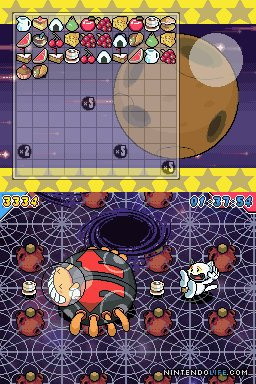 Of course, I would also like to branch out a try a few different, simpler gameplay ideas I have in the back of my mind too... most likely again for DSiWare, or 3DSWare depending on the limitations required, so keep your eyes peeled! NL: Any hints as to what we can expect next? 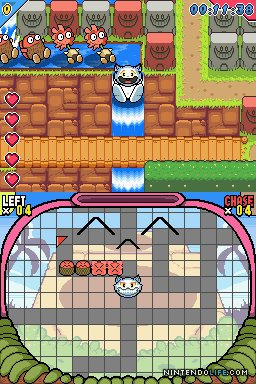 KW: If I’m able to develop them, then two simple puzzle games, and a more comedic action-orientated game that makes full use of the 3DS depth of field, and the lower touch screen... and maybe the camera! That would obviously be for 3DSWare, or maybe even retail depending on how things go! "A 3DS sequel would most likely be the next Kokopolo game on the list..."
NL: From an independent developer's perspective, are you satisfied so far with the DSiWare Shop? KW: As this is Tanukii Studios' first game, it’s difficult to compare it to any of the other services from a developer’s perspective yet. I’d say that from a consumer’s perspective, it is sometimes difficult to become aware of exactly what is available on the store... and perhaps the points card system is a little bit too complicated. The eShop seems to have addressed this issue though. NL: Nintendo has pledged to continue to improve its online focus with the 3DS and Wii U eShops. What are some of the things you hope to see the company work on? KW: Thinking about it, the main thing that needs work might be for Nintendo to re-build consumers' respect for the eShop and all the Nintendo download services. Maybe that’s also down to us developers who are working on DSiWare/ WiiWare/ 3DSWare, and presumably Wii-U-Ware. Perhaps we should work together to promote the service as a whole, as we would certainly benefit from more exposure to the service. That’s probably something I should consider... also, the Achievements system on Xbox Live etc. really helped out with those services, so I think it would be advantageous for Nintendo to bring something like that along to the service also! But I think any improvements that they have planned will be beneficial at this point! NL: You said earlier that you wanted to make this a full retail game, but that larger publishers were nervous about a quirky title from an indy studio. Has the situation changed any now? Are you still interested in pursuing retail releases anytime soon? "Then I would like to develop a three-quel, a third game in the series, maybe for the Wii-U... this would use more Paper Mario-esque viewpoint and graphics, and would also add a small simple action-RPG element to the mix"
KW: I’m not sure. I haven’t actually approached any large publishers since the game has been released, as by going through the process of developing Kokopolo, I learnt a lot of the publishing process myself that I was clueless about before. Just little things like contracts, ratings approval, and all kinds of legal stuff etc. Because of this, it would, hopefully, be possible for me to continue to develop without the backing of a large publisher. If I can figure out the promotion and marketing side of the process as well, to get the game to the masses, then hopefully wouldn’t need to get a large publisher involved in the next few titles. Of course, If I were to attempt a full retail release, then a large publisher would be very useful, and hopefully the reviews and great critical response to Go! Go! 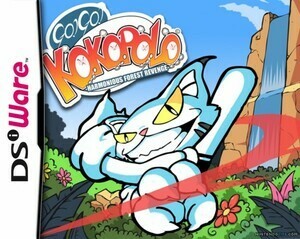 Kokopolo would help get a large publisher interested for any future ventures. Full retail titles from Tanukii Studios are probably two to three years away at the earliest... I think I have to make sure I can get to that stage first! KW: Thanks for taking the time to read this interview! I hope you got some useful snippets regarding the development of Go! Go! Kokopolo from it, and I hope it has whet your appetite to grab a copy and try the game out for yourselves, if you haven’t already! And for those of you who have already got a copy and are enjoying it, please pass on the word to anyone you know, to help get more exposure for the game! Also, if you wanted to give it a favourable review on the 3DS eShop, that’d help loads too! Many thanks again, and happy scratching! Nintendo Life thanks Keith Webb for his time. Check back soon for our full feature in which we examine Go! Go! Kokopolo more closely and get an in-depth scoop on its development and more. I love your Game ! Great interview, I feel way more obligated to download this game now. I've had this game on my list for a few weeks, but will finally go download it this weekend after reading the interview. Thanks, Keith! It's a wonderful game but also very challenging! Please keep developing! Keep up the fantastic work. It's among the 5 star rated games at the Nintendo eShop. I enjoyed playing this game a lot, and it's nice to read about a (very) small developer that managed to get their game out there. It deserves success, hopefully allowing Keith and Room 4 Games to pursue follow-up projects. I'm debating if I should get this one. The trailer didn't make much sense to me, but everyone seems to enjoy this game. I might pick this one up. Great interview! I wish your game the best of luck! I bought it and really like it. For me, it may not be the best thing I've ever played gameplay wise (Although it is quite fun) but the thing that really grabs me about it is the level of polish it appears to have. Polish goes a long way with me. Like I can even find enjoyment in a fairly bad game if it is very polished. Can't wait to see more out of Tanukii Studios. Just keep that Ninty-level polish goin! Thinking about one guy handling that many aspects of development and then adding promotion and marketing on top of it just... wow, I'm a little dizzy. Still, if he came up with that great trailer with the cardboard cut-out of the main character, maybe it's possible. He certainly knows how to make a game stand out. Great interview, too. Need to pick this up. Im going to get this game. I like his game, but good god it's tough. I cannot make sense of the screenshots. Would it not have been for NintendoLIfe and this review / interview, I wouldn't have noticed this gem of a game! Nintendo does such a poor job of making the DSiWare Shop logical and easily accessible. So we need "external" information (e.g. from Internet websites) to draw attention to these great games on the DSiWare platform. Thanks to Tanukii Studios and Room4Games almost everyone now can enjoy "Go! Go! Kokopolo". Now all that is needed is a Japanese release to "wake-up" Nintendo Headquarters from their slumber and start some good online presence. Thank you for the interview. Just now, just clicked the BUY button for this game. (128 blocks ) . I hope that the sales of this game will be good. I live in Belgium but HOW COME people don't give a vote. There are just 2 votes (1 of 2 and 1 of 5) ? I wish to download it as well after reading this interview. How disillusioning that this was not planned as a DSiWare game from the beginning.